packs some serious side effects. 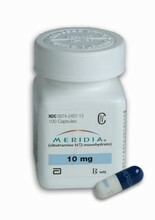 Meridian is aimed at people who need to lose 30 pounds or more. people due to the risk of higher blood pressure and heart rate. has created a prescription weight loss aid that has become quite popular. chemicals (serotonin and norepinephrine) which help regulate the sense of fullness. What do the studies on Meridia have to say? with a doctor’s care in tow. My dr. gave me this 3 weeks ago…and i have lost weight…just what I wanted. Really curbed my appetite, and hardly no side effects. I would take this again, if needed. Five stars in my book! I suffer from high blood pressure and cholestrol. My doctor put me on Meridia and I lost 25 pounds in 9 month with a 1500 calorie diet and walking 20 minutes a day. My blood pressure level went down after losing the weight. I hate my insurance doesn’t cover weight lose maintence, but it is worth the $125. 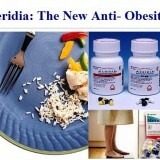 I recommend Meridia for the ones who have the same health conditions as myself, as a weight lost system. Very informative. My doctor has approached me to consider using Meridia for weight loss and has asked that I investigate the product and then decide whether I would like to use it. After reviewing this website I am very concerned about the side effects that could be life threatening. This makes me very hesitant about using the product even with my doctors care. meridia was great for me,i took it after i had my 2nd baby he was 1 year old and i still had extra weight well i lost 35 lbs on meridia and was very happy. The price was very xpensv 100.00 pr bottle i only used 1 bottle for my weight loss. Started Meridia after hearing about it from a friend, was a little skeptical even after seeing the results in her…cut out a few things in my diet, started the pills and really all I have been doing is walking to work and back which is only 15 minutes each way and sometimes use my WII FIT, I have lost 17lbs to date and that is in 2 weeks. Have had none of the side effects listed. TOTALLY WORTH EVERY PENNY especially when you think of what diet programs cost these days. Under my doctor’s care and Meridia, I lost 50 lbs in seven months. I have dieted and exercised for years without any resulting weight loss. So I know that Meridia was the factor that enabled me to return to a normal weight. The only side effect I experienced was occasional dry mouth. I love Meridia – I had given up hope until trying it. I have been on Meridia for a year now and I have lost over 65 lbs. I also take blood pressure pills, and I also had- yes I said HAD sleep apnea. When I lost about 40 lbs I didn’t even need to to use my breathing machine any more. That is such a great feeling. My blood pressure pills were cut in half. I am so glad that my doc. introduced me to this wonderful little pill. I am still taking it and my goal weight is right around the corner. But my biggest fear is when I go off this pill if I can maintain my weight. THE ONLY THING THAT HAS EVER WORKED FOR ME.. PRESCRIBED A THREE MONTH SUPPLY AND I LOST WEIGHT. I STOPPED BECAUSE I LOST MY INSURANCE HOWEVER CURVED MY CRAVINGS AND ATE LESS. I took meridia for almost 4 years. I lost over 40 lbs. Within one year. I maintained my weight for all the years after. Nothing else worked for me – nothing. I’m SO SAD they took it off the market. I’ve gained 5 lbs. back. I just had complete portion control while on it. Now I’m back to before, I could eat and eat and eat. I miss meridia and feel helpless without it. 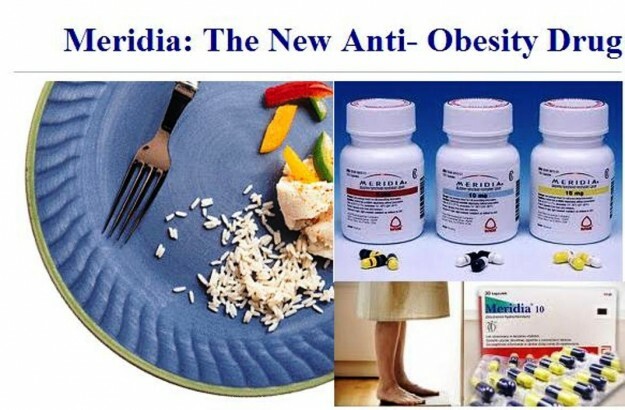 Ill add too that I am a runner, do p90x, and bike, I’m active 6 days a week but its simply the appetite suppression that meridia helped me keep my weight down. EXCELLENT product, excellent results. Only side effect I had was dizziness here and there. Blood pressure was normal all the years I was on it.